How do I Choose the Best Car Seat Bag? A car seat bag can ensure a baby's car seat remains undamaged. Traveling with a child's car seat can be a challenge, because it's awkward to juggle such a bulky baby item, the luggage and a baby. In addition, car seats face the possibility of being damaged during travel, especially when they have to be checked at the airport gate. A car seat bag can offer a layer of protection for the seat during travel. 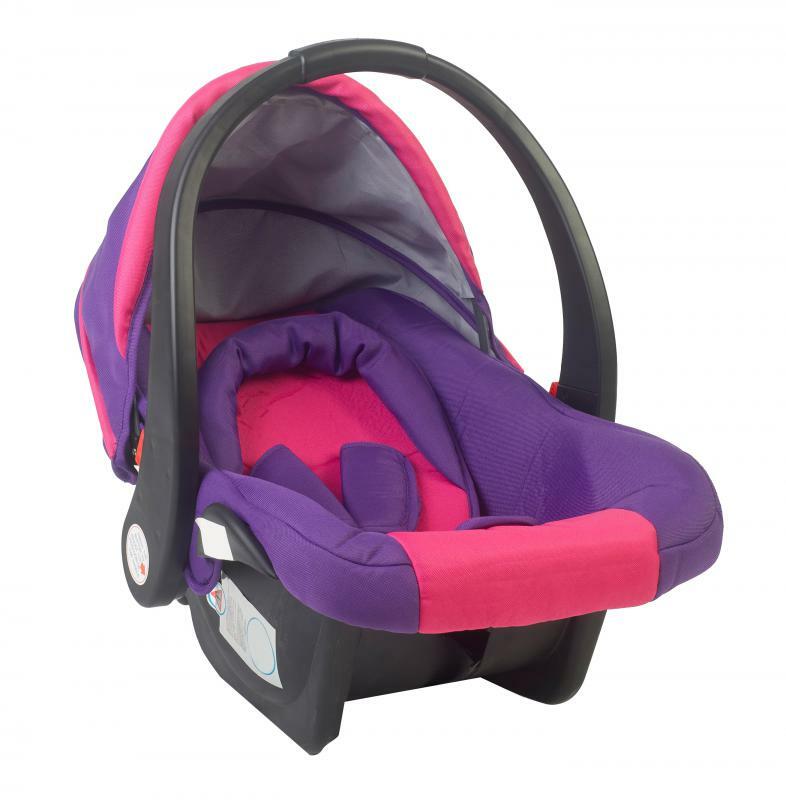 Before choosing one, make sure it is large enough for your baby's car seat, comfortable to carry and durable enough to protect the seat from a range of conditions. If flying, be sure to check airline guidelines to be sure any bag you buy will actually be allowed on a plane. If you have an infant car seat and are short on space, a smaller car seat bag should be fine. On the other hand, a convertible car seat tends to require a larger bag, which is why you should either bring your car seat along when shopping to make sure it fits, or measure it beforehand to find out how large the bag needs to be. When in doubt, consider getting the most spacious car seat bag you can find, because it is often convenient to have extra room inside. Having additional space in the bag allows you to carry other baby accessories and travel necessities that don't fit in your regular luggage. Another detail to consider before choosing a car seat bag is the material. The point of the bag is to protect the car seat from damage during travel, because it can get scuffed up and dented when it is checked with other luggage. It is wise to make sure the material is thick and durable, especially if you travel often and plan to use the car seat bag frequently. One benefit of a durable bag is its ability to protect the car seat from inclement weather, so if you are traveling to an area with rain or snow, consider buying a waterproof car seat bag. When choosing a bag, consider how far you will have to walk while carrying it and how much the car seat weighs. If, for example, you will have to walk through a large airport with a heavy car seat, look for a bag with at least one padded strap, because this type is often the most comfortable to carry. Note that a bag with one strap allows you to easily sling it over your shoulder as you walk, but a bag with two straps spreads the weight more evenly across your back. Thus, a two-strap variety is often recommended for heavy seats or long carrying distances. What Are the Different Car Seat Guidelines? How Do I Choose the Best Baby Luggage? How Do I Choose the Best Waterproof Luggage? How Do I Choose the Best Used Convertible Car? How Do I Choose the Best Travel Car Seat? How do I Choose the Best Portable Car Seat?